Believe it or not India is more than a third of the size of the United States, making it pretty darn big. It has many regions, and the cultures in the different regions are distinctly different from one another. 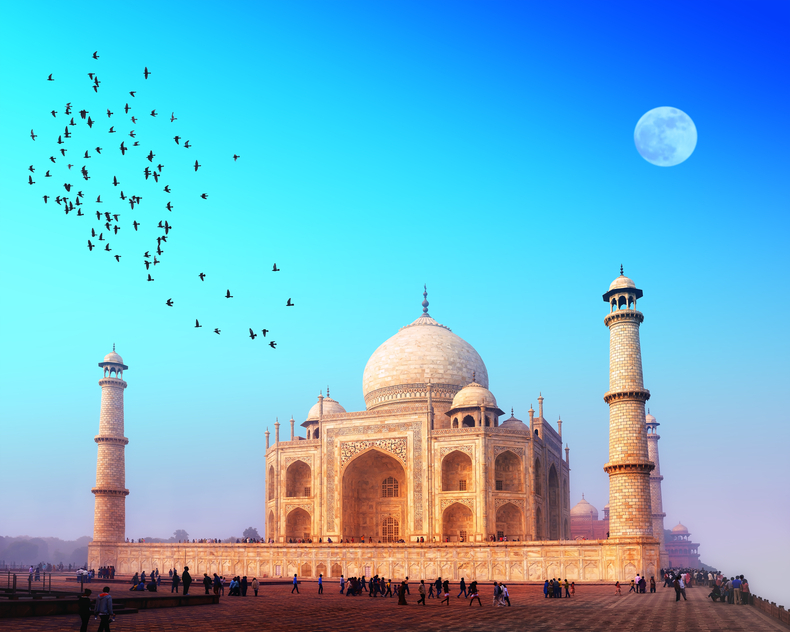 Traveling India is like traveling a whole new world. It even has a completely different climate in the mountainous northern regions than it does in the sandy, sunny, southern parts. There is no point skipping around this point. India is cheap. Your money will go very far there. You will last for a long time on not a lot of dosh, and you won’t even have to skimp that much. If you on an average income over in the US then you will probably be able to treat yourself to the finest treatment in India. It is not all about living it up in 5* hotels. India has much more to offer than that, and you will be well rewarded if you show the local people the time of day. They can be extremely warm hearted and very hospitable. In Indian culture it is an honor to have a guest in your home, and so you will be well received should you ever end up in this situation. If you want to put yourself in this situation deliberately then you could consider a home stay. Apart from the complaints of “Delhi belly,” which is the technical term for getting ill off eating too much curry, India has amazing food to offer. In some areas the food is largely spiced, and features oily authentic curries, breads, and rice. The food is highly regional so if you explore then you will discover a large variety of cuisine. Street food is very common in India, and for less that $1 you can eat home cooked street food of every manner. India is world famous for its religious diversity, including Hinduism, Islam, Buddhism, Islam, Sikhism, and many more. You can engage with many spiritual practices too, from Yoga to meditation, and even Tantra. You can see a world of open worship, visit temples, pray, light incense and make offerings, and bathe in the River Ganges. You could even arrange a long term stay in an Ashram. India is the country for finding your spiritual path. There is also every type of new-age practice you can think of on the market; so if you need a spell, a tarot reading, a Vedic astrology session, or any other healing, then you are in the right place. Although a country on the rise, soon to be considered a major world power, India still has huge social and economic problems, and the gap between the rich and the poor is huge, obvious, and sometimes unbearable. You can do something about it, and there are plenty of opportunities for you to do a service to those who are less fortunate than you. You don’t have to book through an organization; if you turn up in India you will soon be able to hand pick a project to work on. There is perhaps nowhere more overwhelming for the senses than India. It is a country which must be experienced to be understood, because much of the experience comes from the feeling that it creates. The heat of the sun and a million bodies crammed into a city. The noises of the chanting and the music, and tens of languages spoken around you. The smells of food, and sewage, and rubbish, and incense. The sight of poverty next to wealth. India is a country explored by the senses.